The main tourist accomodation in Buxton was the Crescent. Built in the 1780s by the 5th Duke of Devonshire, to the design of John Carr, it copied (and hoped to rival) the famous Crescent in Bath; it gave great impetus to the city. The Crescent was conceived as two purpose-built hotels separated by six lodging houses. This PC shows the Crescent and some of the amenities (Lounge, Drawing Room, Ball Room) that Father Conmee may have enjoyed. 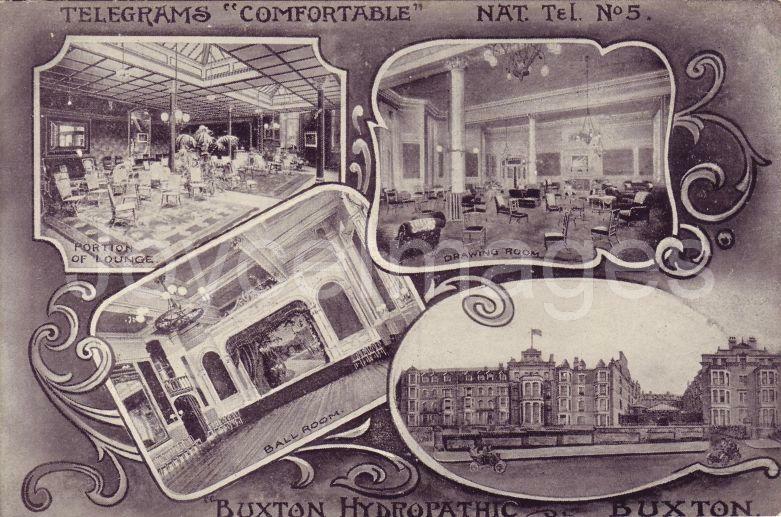 Buxton nowadays still calls itself a Spa town even though it no longer offers hydrotherapy.